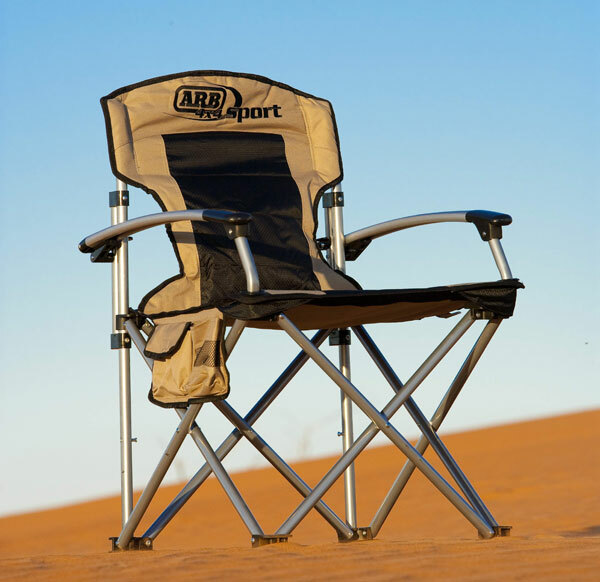 ARB Sport Camp Chair. For extra strength and added comfort, we specified a chair that had aluminum arm rests and was slightly larger than the standard chairs on the market, but still compact enough to be folded and packed in a carry bag. For extra strength and packability, this chair features locking tabs to keep the chair folded when packed and locked for additional strength when assembled.